Growing up I never ate lima beans, lamb, or lobster. I never ate peppers, raw tomatoes, liver, broccoli tops, cauliflower, and peas either. In the case of the latter, it was because I thought they were disgusting. I never ate the former items because my mom didn't like them. If she didn't like them we didn't eat them. I'm with her on the lima beans, but I sure missed out of lamb and lobster. Hmm, maybe she just hated food that started with the letter "L"? I'm doing my damnedest to not do that to the girls. Of all the foods I hated as I child I now eat almost all of them, except peas. Peas are seriously the most vile things on the planet. They stink and they taste like mud. Eating a pea is akin to popping a bubble filled with mushy sewage. Hubby likens me to The Princess and the Pea, except that I can tell that there is one pea in an entire dish of shepherd's pie. Or that the samosas do indeed come with peas without even opening one. Okay, the last one is generally a given. But the foul odour of peas is distinct and I can pick it up despite pastry or potato coverings. As I said, though, I am trying not to pass on that dislike to the girls. I plug my nose when I defrost the frozen peas, scrub my hands with smelly soaps when we go pea picking, and make Hubby feed Smilosaurus dinner if peas are on the menu. So far I've been successful, both girls love peas. The Monster will eat them fresh or frozen, raw or cooked. And Smilosaurus practices her pincer grasp at least once a week with a bowl full of peas. Good for them. But they better not ask me to make split pea soup, ever. This morning I decided that one of my favourite activities in the entire world is baking with The Monster. She is intrigued by the process and will dive right in making a mess, if only to lick the paddle at the end of it all. I have a million pictures of her devouring the sticky dough left on that paddle. But today I took pictures throughout the process. I don't think there is much more to say today. Pick you favourite recipe and bake. Pull up a chair for the kids, make a mess, and watch some Yo Gabba Gabba while the cookies cool. 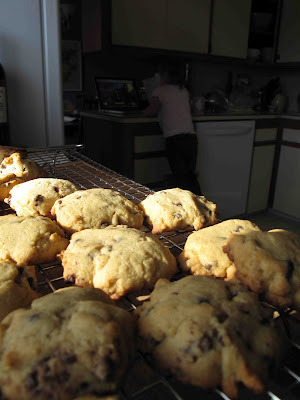 A personal stash of chips keep little hands busy while the cookies are in the final mix. Everyone wants in on the action. Fresh from the oven and into the mouth. Cooling cookies and watching Tony Hawk on Yo Gabba Gabba. 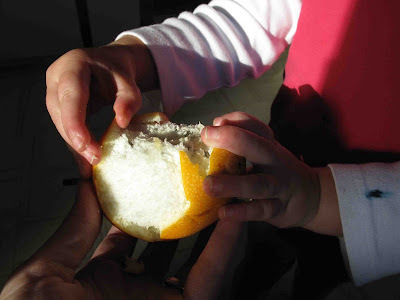 The crumbs she swept into my hand, off the table, because they were getting in the way of eating her orange. All is quiet, but not clean (see that bowl?) during naptime. Today we made an old recipe for me. These make a cakey, crumbly cookie. I'm not normally one for anything instant, but the pudding mix does work nicely here. You can use vanilla, chocolate, or even butterscotch (my fave). 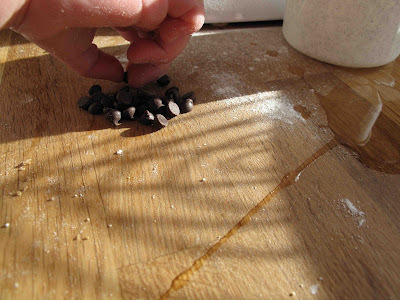 You can also play with the type of chocolate chips. I learned how to make these when I was a little girl. I think the recipe came from a church cookbook. Really, a duotang filled with photocopied sheets. 1. Preheat oven to 375 degrees Celsius. 2. Cream butter and sugars together. Add vanilla and pudding mix. 3. Beat in eggs, one at a time, until mixed well. 4. Slowly add in flour and baking soda. Stir in chocolate chips until well blended. 5. 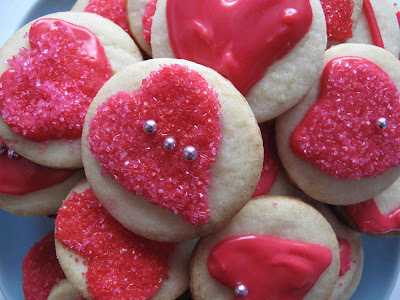 Drop by teaspoonful on to a greased cookie sheet, about 2 inches apart. Bake for 10-12 minutes. Let cool and enjoy with your favourite monsters. One of the nice things about vacationing in Baja when your little one is just starting solids is that she begins her foodie career early. Aside from a few weeks of cereal at home as her tummy was getting used to solid food, she hadn't tried much else before we went on our trip. But after two weeks there she was eating avocado, beans, zucchini, papaya, chayote, banana, and mango. It must have been a downgrade for her when we came home and she was forced to eat things like carrots, parsnips, and pears. I am going to try and not turn this into a lecture about making your own baby food. I will only ask this: why wouldn't you? Sure, it takes a bit of time and a bit of freezer room. But other than a blender, food mill, food processor, or a strong arm and a fork there is no special equipment required. For me, convenience of a jar does not outweigh knowing what is going into my kids mouth. Let me, then, explain our philosophy. Philosophy? Maybe it would be better to simply say this is our approach and why we do it, it seems less pretentious that way. First, we make all our baby food. Okay, I do concede to buying rice/barley/oat cereal until she is old enough to eat oatmeal. Second, we try to do absolutely everything organic. I've been accused to being snobby with this insistence. Maybe, but my thought is that organic food generally tastes better and my biggest concern, aside from nutrition, is developing her palate. 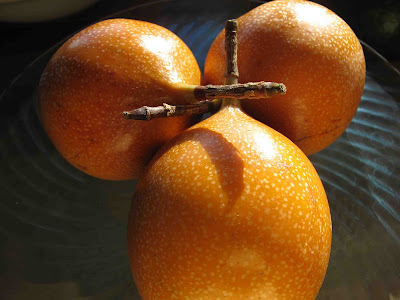 If an organic pear has a better taste than a supermarket one, then that's the one that will teach her what a pear should taste like. There is also the environmental benefit, of course. Third, we generally cook in season for ourselves and so we do for her. That means she is eating a lot of root vegetables that we get locally from storage. 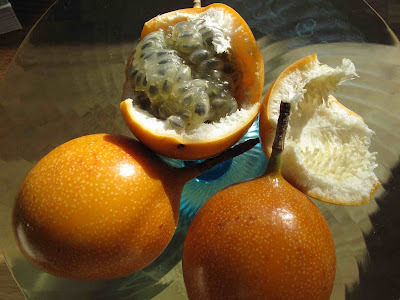 It also means a splurge on the so not local fruits like oranges, mango, and papaya, but they are in season in the Southern Hemisphere. As her capacity to chew develops and she ages she can then enjoy strawberries for the first time right out of the garden, the first rhubarb, and sweet peas right out of the pod. it also means I am cooking for all of us, and not just her. Fourth, what I can't get fresh I buy frozen and still make. 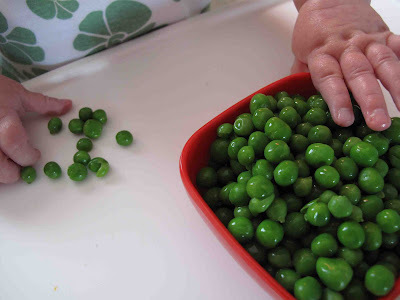 Peas are a perfect example, as frozen are as close to fresh you can get. I also have fruit from last summer which I froze whole -like peaches and raspberries - that I can easily puree for her. Finally, I am still breastfeeding. 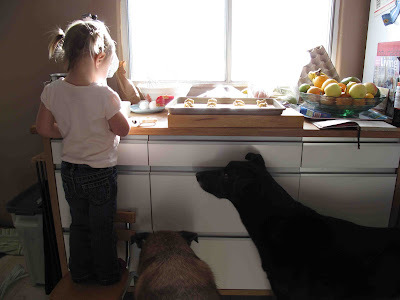 That means meal time is about exploring new tastes and textures, as well as sitting down together as a family. She is getting a lot of her nutrients from me, and supplemented by the veggies, fruits, fish, and meats she is trying out. I must admit, though, that one of the main reasons I am breastfeeding is that I am too lazy for bottles. My plan is to get her to take a cup so that when it comes time to wean in a few months she will be on a cup and I can avoid bottles all together. Don't waste your money on fancy kits or cookbooks. Even if you aren't much of a cook, this is easy to do. Really easy to do. Just do one food at a time. As they develop and you feel confident you can try mixing flavours. I always go for things I would generally eat myself - squash with apples and maybe some chicken, beets and oranges, beef and broccoli. And a kit? Just fancy ice cube trays and a special DVD. Read below and email me and I'll get you going. All that being said, how do I get a load of baby food made and in the freezer with a toddler on hand and a busy schedule? 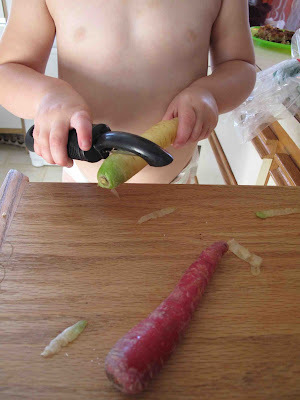 One thing that has definitely helped has been teaching the toddler how to peel veggies. To be honest, I'm a little afraid that she'll slice herself with the peeler. But I held it with her the first few times and now she is a pro. She asks for help on the end bits, knowing that she could hurt herself. She's tough, but not stupid. While the little one naps The Monster and I will stand and peel veggies. It's a great a activity for both of us. And the pride she has when she sees her sister eating the food she made is enough to make a Mama Foodie cry. Smilosaurus (aka Little Miss Sunshine) has now tried most veggies and fruits available to us. That means we can make big batches now. When I first introduced a new food I only made one or two servings. That way I wasn't stuck with a huge batch of cauliflower if she wasn't going to eat it (although you can easily throw it in a cream of veggie soup or macaroni and cheese for yourself). I would simply put a few florets or tablespoons aside from whatever I was making for the rest of us. 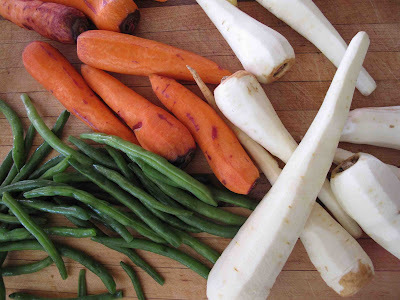 Wash and peel any vegetables like carrots, parsnips, beets, squash, sweet potatoes. Trim the ends of beans and zucchini. Peel all fruit (except berries). Chop the veggies into uniform pieces and place them in a small pot with a fitted lid (what I do) or a steamer. Add about a half cup or so of water, not to cover, only to fill the bottom of the pot. Set it on the stove, with a burner turned to high. Don't walk away and watch TV, otherwise you will boil away all the water and burn your veggies (trust me). Steam the veggies until a fork will go through them easily, adding more water if necessary. All veggies, barring cucumber, should be cooked. I also cook my pears and apples, essentially making an applesauce. But I do not cook berries, mango, papaya, or bananas. 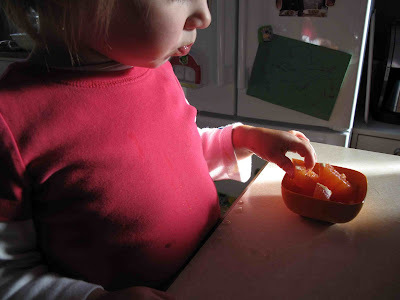 When veggies/fruit are done, drain them of any water. Reserve the cooking liquids. Put your veggies in your blender/food processor/food mill. You may need to add water to get the desired consistency. To start with you may want quite smooth purees. Unless it is a veggie like a sweet potato or cauliflower you might have to add water to do this. If you run out of cooking water I usually take what's left in the kettle after boiling my water for tea that day. Some veggies have a lot of water in them and you won't need to add any, like zucchini. To be honest, we never went the smooth puree route. 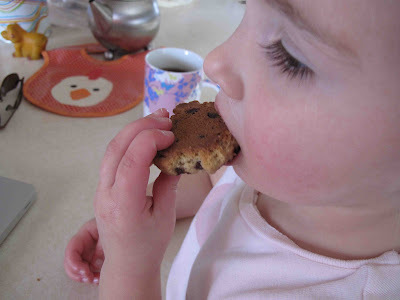 From the experience of friends it seems that babies who stay too long on smooth purees have a hard time with different textures - even by a year old. That, and my food processor tends to have a rougher chop unless I add a lot of water. Do not feel like you are diluting your food if you add water. I'm not a nutritionist, so don't quote me if I say it's okay. But I do know that babies bowels have a hard time with new foods and the little bit of extra water generally helps if they are constipated. It's not like I'm serving her soup! 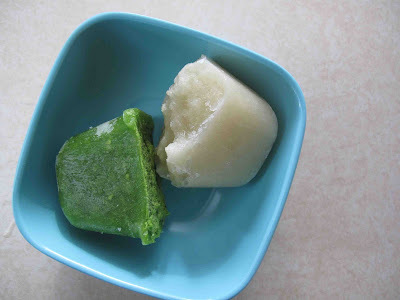 Once you've reached the desired consistency, pour your puree into clean ice cube trays and freeze. 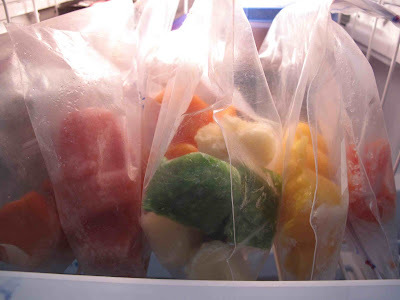 Once frozen you can store in plastic bags or plastic containers. Each cube is essentially one serving. At each meal the Smilosaurus will eat anywhere from 1-5 cubes of food. 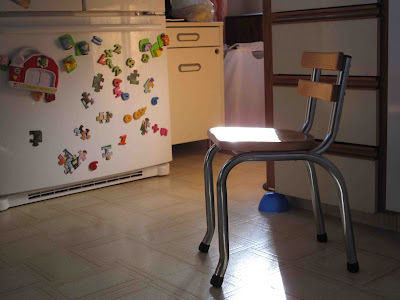 You can defrost the cubes in the microwave or leave a few in the fridge each morning to defrost. 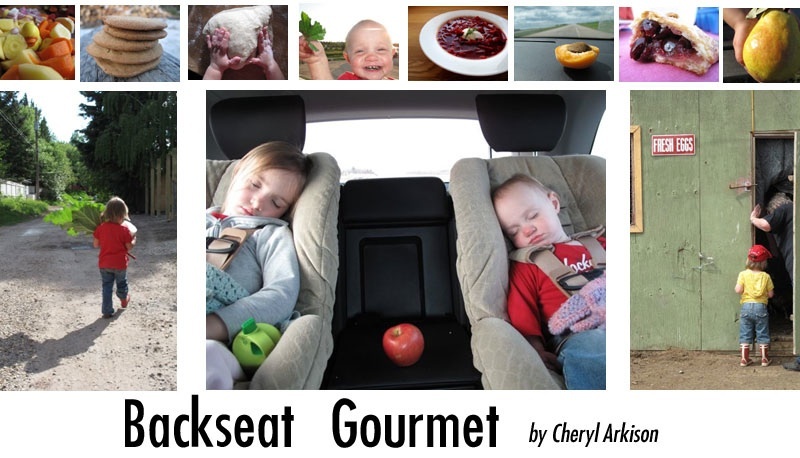 They are easy to transport and you can still feed your kid your homemade love when you are out and about. I want to make a special note about meat here. Generally I will poach the chicken, or keep a tiny piece of red meat or fish aside for her. No seasonings, but broil it or bake it as I do the rest for the family. You need a good blender to really get small pieces, and I generally have to add water (the poaching liquid). When you are feeding the little one, I find it easier to mix it right in with the veggies, you get a better consistency for them. With fish I don't even bother blending it. 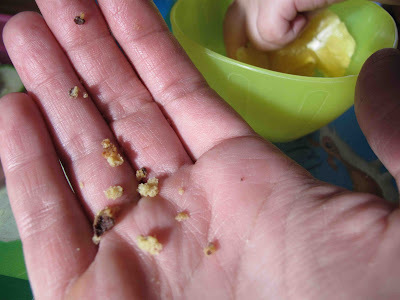 You can flake it into small enough pieces that are easy for a babe to eat. Let them get messy. It sure isn't pretty and it's hard on cloth bibs and clothes. But I'm thankful we have dogs that have learned that the floor is pretty tasty after the girls eat. And I highly recommend bibs that cover the shoulders to save yourself some laundry headaches. Let them decided how much they are going to eat. We should all eat like babies - they get loads of colour in their mostly plant based diet and they stop when they are hungry. Let them try new things, even if they didn't like it the first time. I saw some guy on TV once (how's that for a source?) who said kids need to be exposed to something about 10 times before they can truly establish a like or dislike for it. Keep offering it. I still can't get her to eat applesauce, but I keep trying. One final note. Please listen to your public health nurse or health care provider on the recommended way to introduce food. Certain foods should be avoided in the first year, strawberries and egg whites, for example. I'm only a mom, not a nutrition or health care expert. If in doubt, here is a good resource for additional advice and guidance on feeding your baby solids.